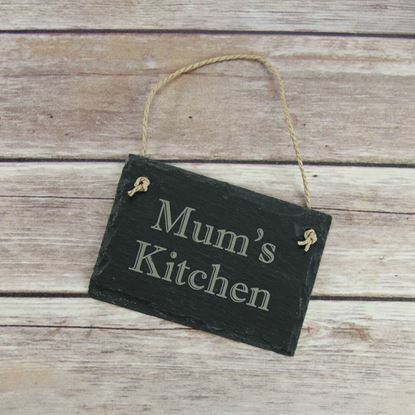 Mum knows best when it comes to cooking great dinners and this cute slate sign is the perfect size to be hung in the kitchen. 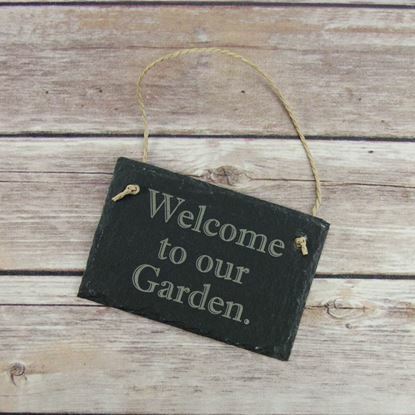 This slate sign can be hung outdoors so is perfect if you are proud of your garden, having a BBQ or garden party. 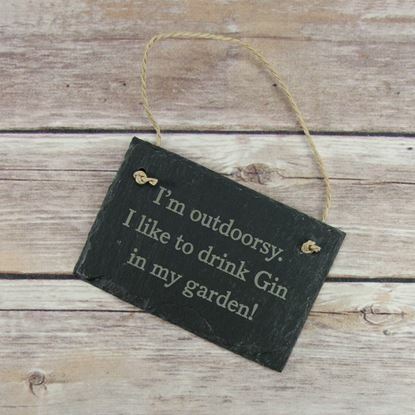 This slate sign is perfect for hanging in the garden this summer. 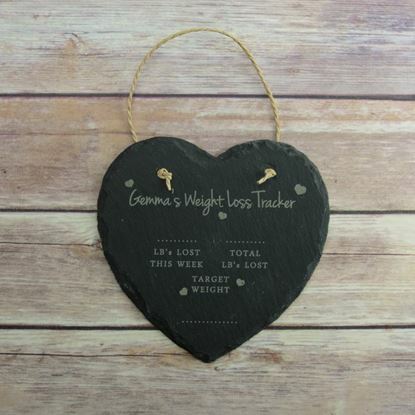 A brilliant hanging slate to help with your weight loss goals! Comes with chalk to update your results. 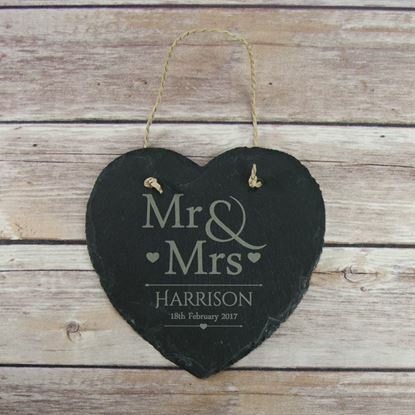 The perfect wedding gift, our stunning hanging slate sign featuring a Mr & Mrs design. 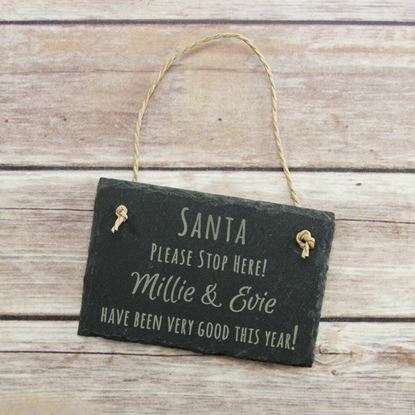 A cute slate hanging sign which reads "Santa please stop here" and is personalised with your child's name/s. 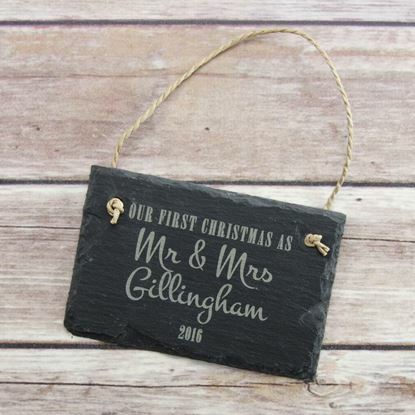 Our first Christmas as Mr & Mrs slate sign is the perfect decoration to add to your home if you have been married this year. 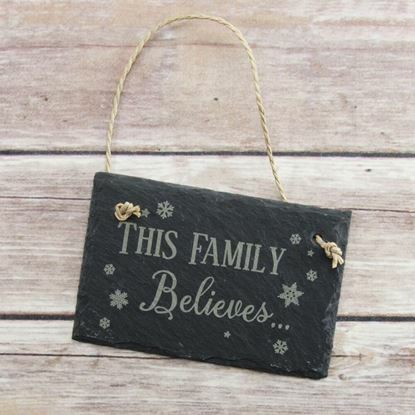 A cute slate hanging sign which reads "This family believes". 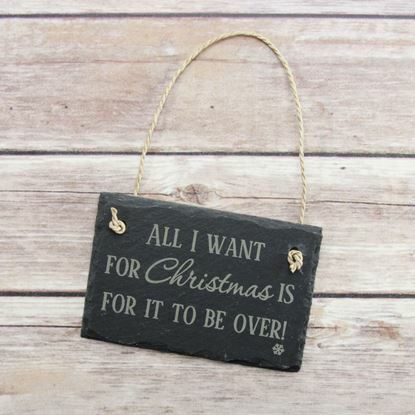 If you or someone you know doesn't enjoy the Christmas season, this slate sign is perfect! 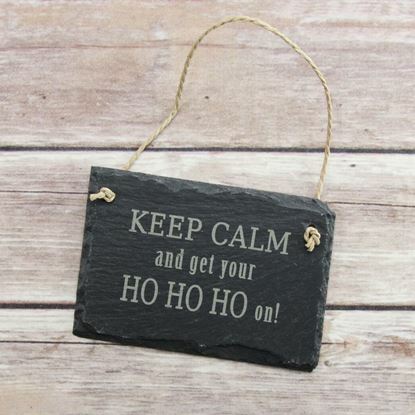 Our cute slate hanging sign which reads "Keep Calm and get your Ho Ho Ho on" is great for hanging in your home this Christmas season. 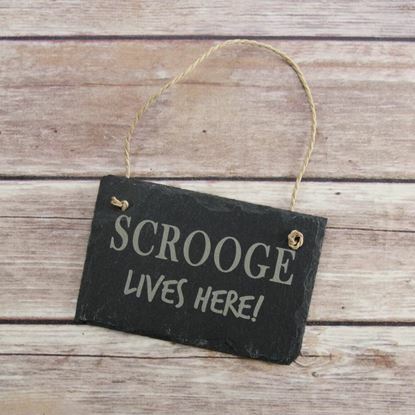 If you know someone who can be a real Scrooge, this is the perfect gift for them this year! 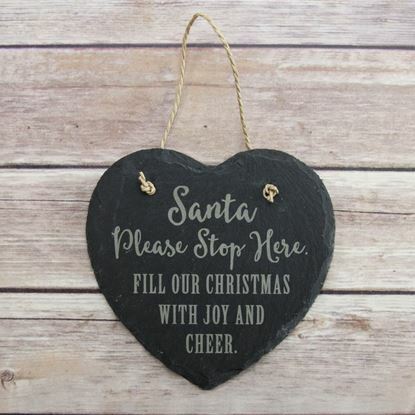 A heart shaped Santa Please Stop Here hanging slate sign.